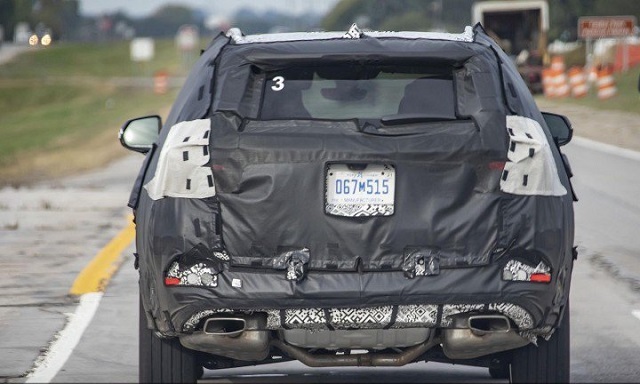 Earlier this month, most of the automotive public was pretty sure that the spy shots hide Chevrolet’s future three-row Blazer. Now, however, we are assured that that’s not anywhere near the actual truth. 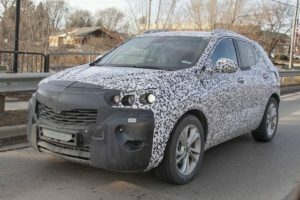 Moreover, the camouflaged SUV has nothing in common with Chevrolet. No, because it comes from a totally opposite direction. 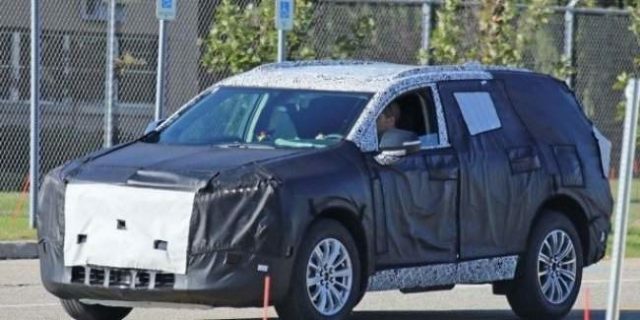 The camouflaged vehicle is actually an all-new and still unnamed Buick three-row SUV. The future high-riding vehicle from Buick will still share something with the aforementioned Blazer. Yes, just like the GMC Acadia and Cadillac’s XT5, the Buick three-row SUV is going to ride on the short wheelbase version of the GM C1 platform. Buick is the only GM sub-brand that has no vehicle based on the architecture, so the move seems quite logical. They, on the other hand, have the Buick Enclave which is based on a long wheelbase version of the platform. Anyway, the future Buick three-row SUV should make the debut sometime next year, which means that we should find out pretty much everything about it pretty soon. From our point of view, this still unnamed model will probably share a 310-horsepower 3.6-liter V6 engine with other three crossover SUVs that use the same platform. A nine-speed automatic transmission will be a standard part of the powertrain, while we also expect direct-injection technology and start-stop system as standard. The manufacturer may reconsider a possibility of adding one more unit under the hood that will serve as a base option. We bet on the 2.5L DOHC 4-cylinder SIDI that’s standard with the Envision. The option delivers 197 horsepower. Styling-wise, the future Buick three-row SUV will likely feature pretty much the same details as the rest of automaker’s fleet. That includes a signature Avenir grille and lots of chrome elements across the exterior. Both the grille and air intakes will get mesh treatment, while the rear end already shows carmaker’s distinctive rectangular exhaust tips. That’s pretty much everything we can assume for now. 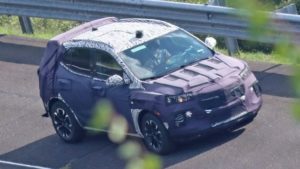 What we know for sure is that the vehicle is going to fill the gap between Envision and Enclave. According to an IHS document obtained by GM Authority, the Buick three-row crossover will definitely feature mid-size footprint. The document also suggests that the beginning of the production is going to start in 2020. Since the automaker has a plan to introduce it next year, we assume that the model should become available e 2020. The automaker will definitely build the vehicle at its Jinqiao Cadillac plant in China.